Enchanted Trails is very friendly park…they have an onsite repair man who seemed very knowledgeable and was totally fine with giving out free advice. They also have a bunch of vintage trailers you can rent (like a hotel room). It’ happens to be a Passport America campground but while they only accept the PA discount for 2 nights they will still give you the discount even if you get the weekly rate (so it’s $140 a week plus you get $32 off for the first two days that would have been half price). It’s the only PA campground that has done that for us. People: We found out through social media that one of our favorite fulltime couples was staying at the very same RV park. Many of you have already heard of Watsons Wander and, like us, follow their blog so you can imagine how exciting it was to finally meet them in person. It’s probably similar to how you’d feel if you got to meet us (just kidding!!). But get this…not only were the Watsons there but so was Imperfect Destiny! You just can’t get better than that, right? Well, apparently you can. 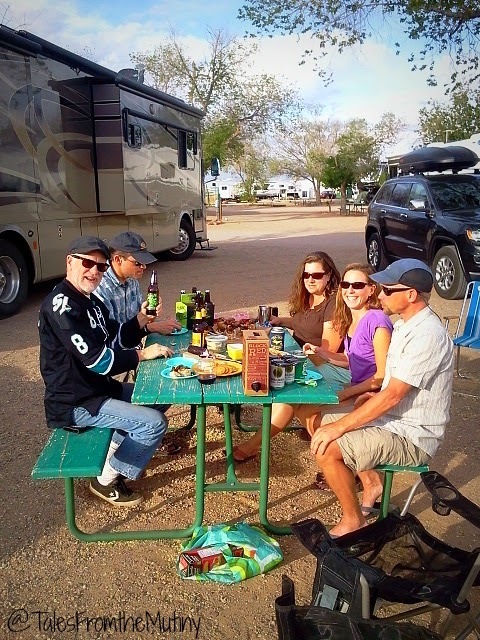 Amanda Watson had befriended a new nomad…Finding Marshall, and had arranged a Happy Hour get-together for all of us to meet. You know it’s a good time when someone busts out the Box o’ Wine. It’s always fun to meet new friends on the road. Sometimes you may not hit it off but a lot of time you find that you really connect. We still keep in touch with all of these friends and it makes it fun to try to see if and when our paths will cross again. It’s kind of like a treasure hunt except the treasure keeps moving around. We’ll actually be camping with Imperfect Destiny and a few other friends very soon. 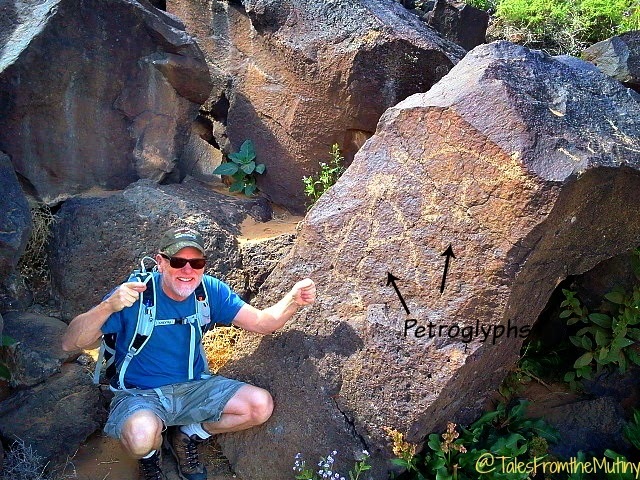 Petroglyphs: While we didn’t get to do as much exploring as we wanted, we did take advantage of our proximity to Petrogylph National Monument. 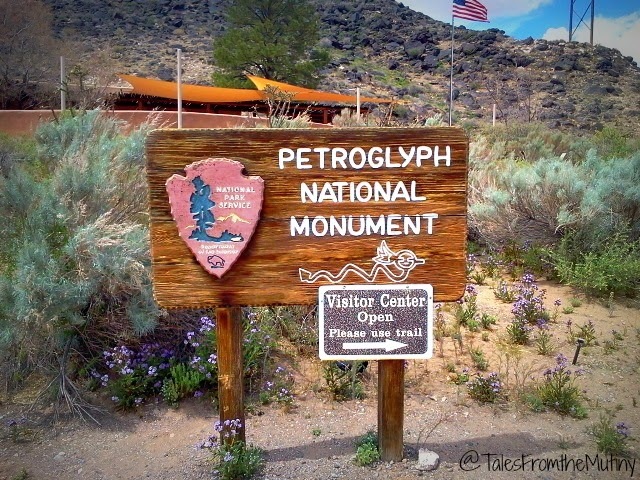 The funny thing about Petroglyphs NP is that you will not see any petroglyphs anywhere near the Visitors Center. However, you should stop here to get maps and information regarding which trails are open and how to get to them. 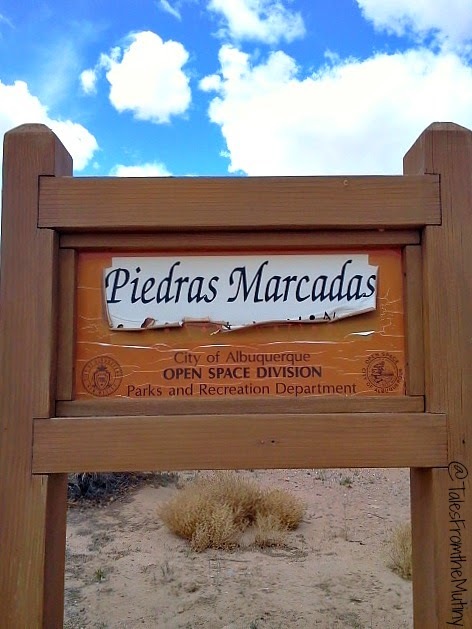 The hike we chose, based on the rangers recommendation, was Piedras Marcadas (a 1.5 mile loop). This is actually an open space located pretty much in the back yard of a housing development. 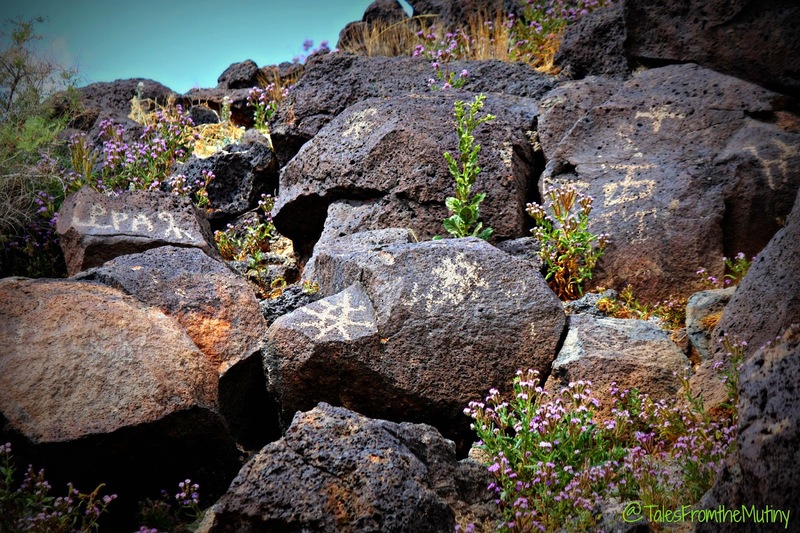 But once you get a little ways past the sound of lawnmowers and car radios you’ll find peace and quiet along with over 500 petroglyphs. 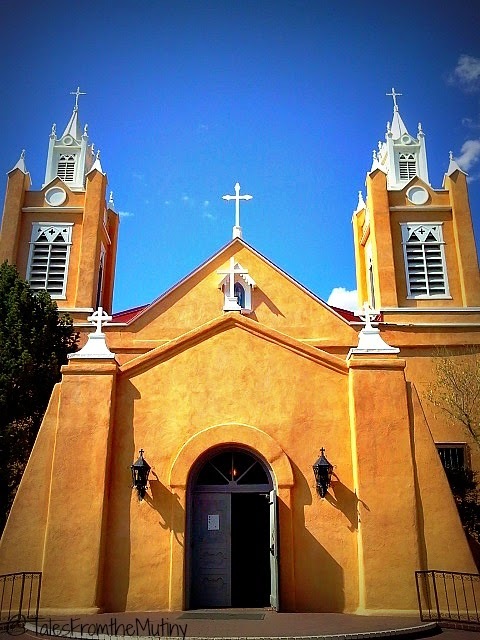 Another nice way to spend the day is with a visit to Old Town Albuquerque. Our first instinct was to skip this place for fear of it being a complete tourist trap with overpriced “Native American” pottery (made in China) and huge crowds of people. 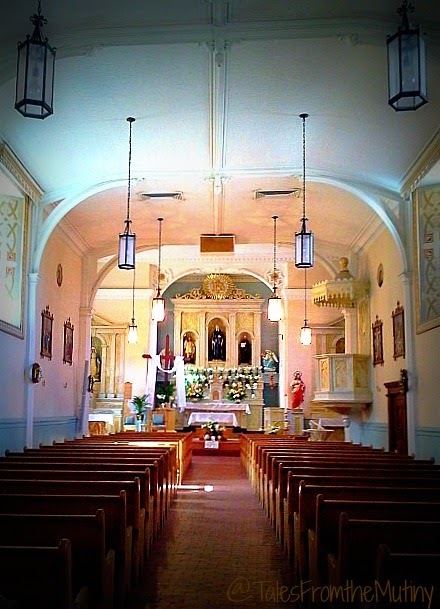 But it’s really an interesting area consisting of 10 blocks of historic adobe buildings, a central plaza and a church. 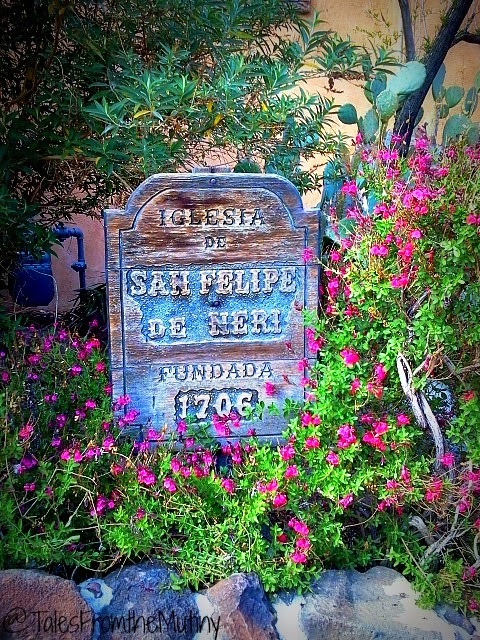 The church, San Felipe de Neri, was built in 1793 and is open for worship…and tours. 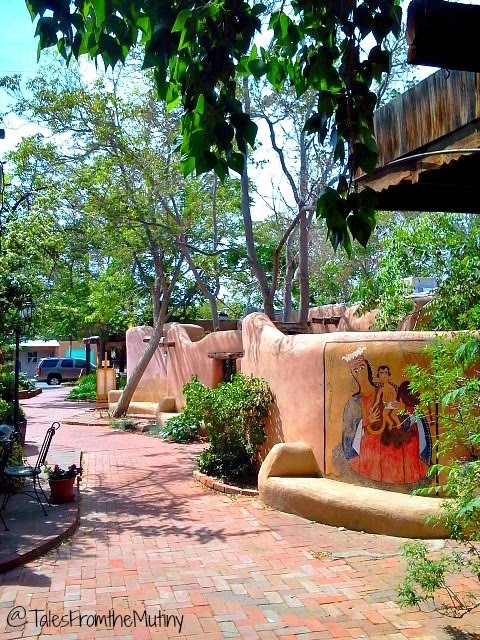 There are art galleries, restaurants, gift shops, bed and breakfasts, ice cream parlors and street vendors (Tip: be sure to go down the alleys too). 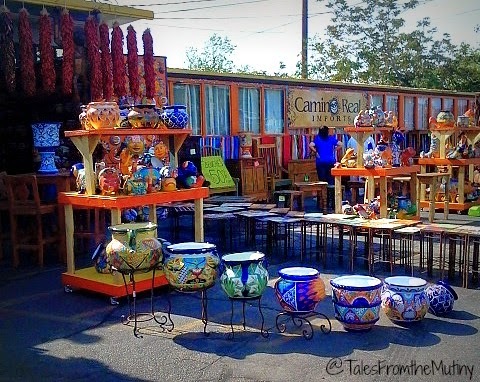 Just like Old Masilla (see our post from our stop in Las Cruces), we found the prices overall to be beyond reasonable for most gift and decor items. 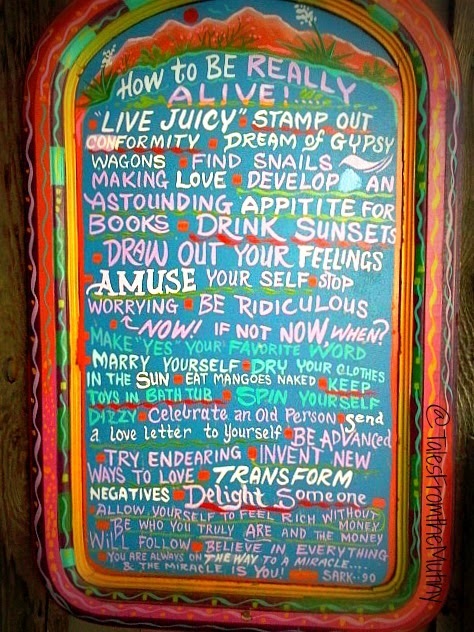 As a matter of fact, it’s probably the one place I wish I would have bought more “stuff” (Mexican blankets for yoga!!) while I had the chance. This is where we purchased the hand-painted Mexican tiles we installed in the Mutiny’s loo as a back-splash. 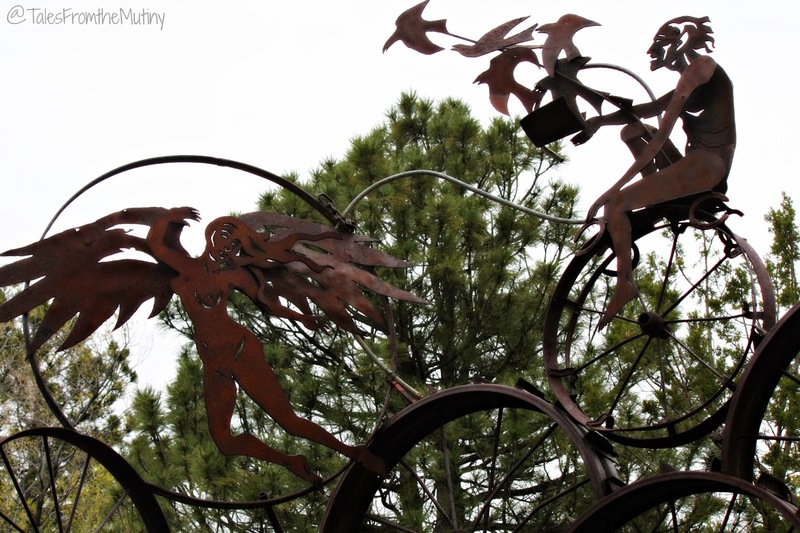 Quirky: True to form we opted to find something quirky to do rather than some of the traditional city things (shopping, breweries, more shopping and shopping)…and that meant a road trip up Turquoise Trail National Scenic Byway. 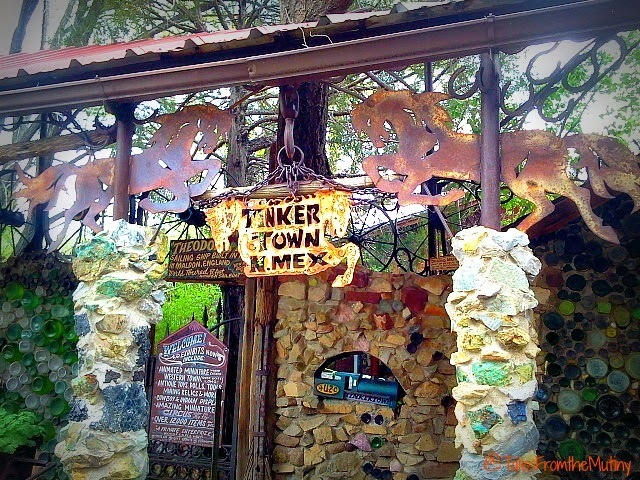 The goal…Tinkertown! 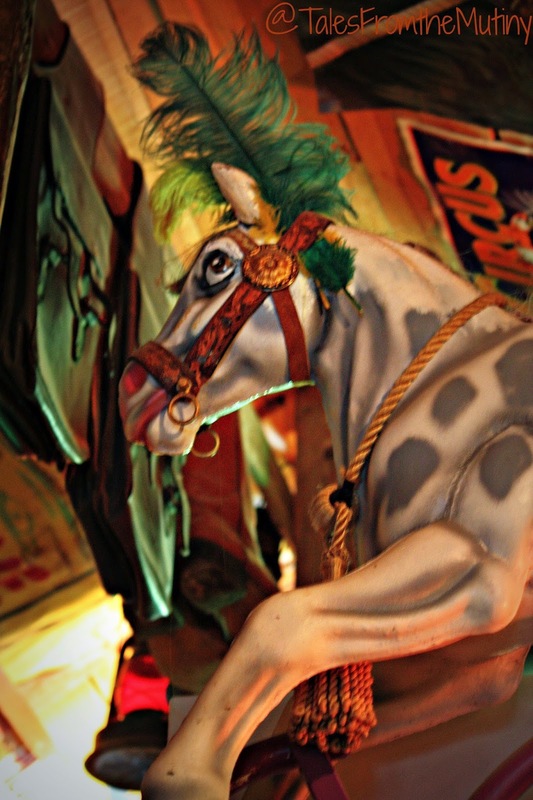 For a mere $3.50 each (geezers over 62 get a 0.50 discount and kids 4-16 are only a buck) you too can have your creative spirit recharged (or your mind blown) by the somewhat bizarre collection of circus memorabilia, hand-carved figures, animated music boxes, miniatures and more. 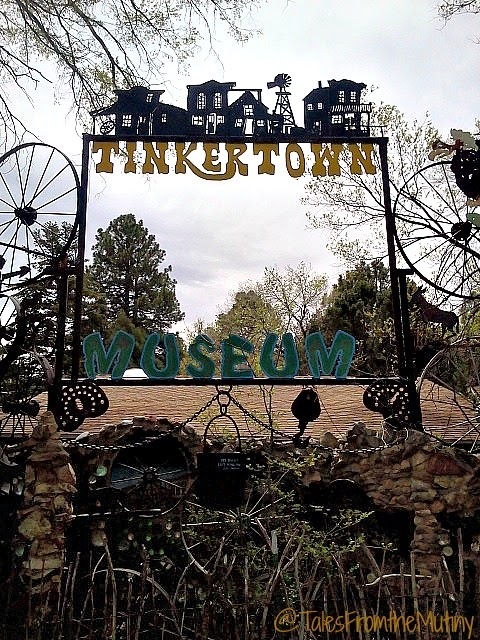 Everywhere you look there’s something to see at Tinkertown. 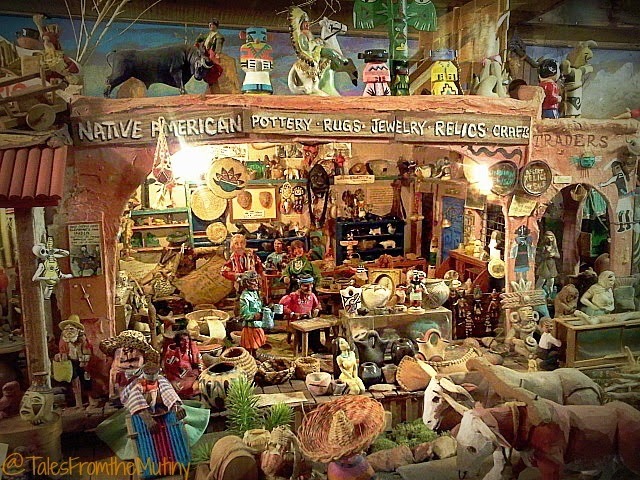 Wood-carved miniature diorama…so much detail! 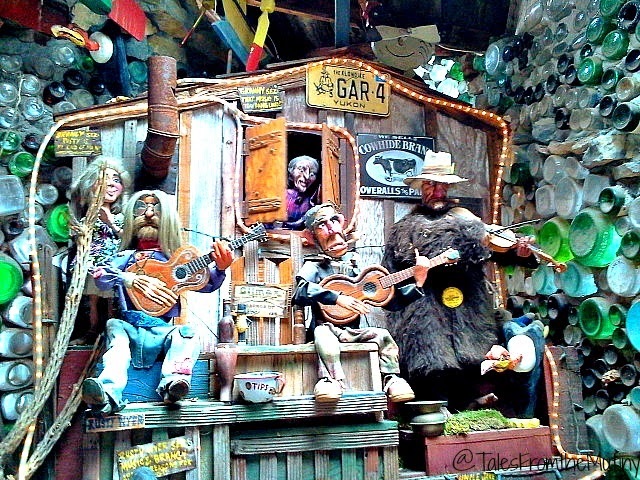 Drop in a coin and they’ll sing you a song. 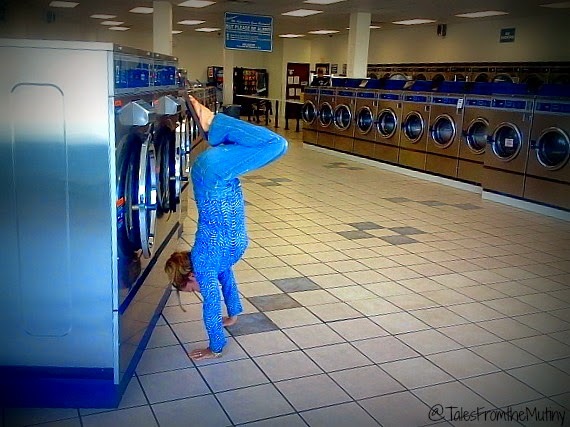 Kinda creepy but also totally awesome. 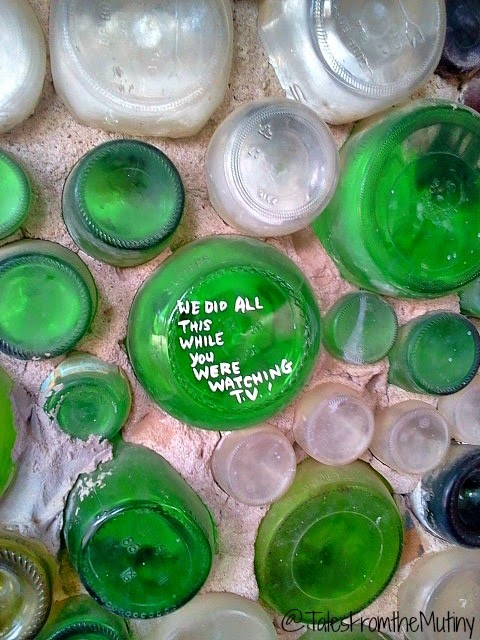 Glass bottle walls and metal cut outs welcome you. Wondering how they found time to make all of this? Clark was a plumber in his former life…he doesn’t like to bust out his tools anymore but sometimes you just gotta do it. One way to make mundane chores seem a little better is to treat yourself to some excellent, local brew. We just prefer ours to be of the coffee sort. Michael Thomas Coffee: Located (literally) in a residential neighborhood you might think you’re GPS screwed you over again when you pull up to the curb. But fear not, you’re in the right place. Smartly located at a bus stop this coffee shop is worthy of a visit. They have a lovely seating area inside and on the front porch but that’s nothing compared to the little garden area on the side yard. Pet friendly! Sadie’s of New Mexico: Granted this was the only Mexican restaurant we tried and we both got Huevos Rancheros, so it’s hard to say if it’s the best but it was good enough to eat at twice during out stay. Camping World: By far the friendliest and helpful CW we’ve dealt with so far. 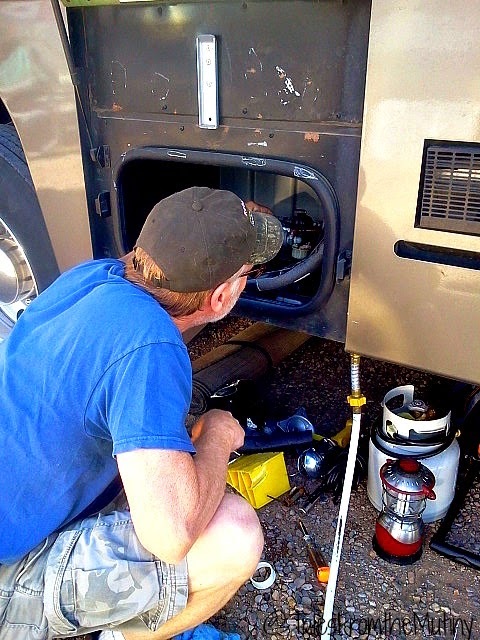 Our service advisor, Marellano, called when she said she would call and had our RV and paperwork ready exactly when she’d told us it would be done. Repairs done: Norcold Refrigerator recall, Converter replaced, Water Heater fitting replaced (labor intensive due to location), Oil Changed, Tires inspected and inflated to proper specs, Jack alarm inspected and fluid topped. Total cost: $1322.53 Amount we paid: $253.00 (our extended warranty has now paid for itself plus some). 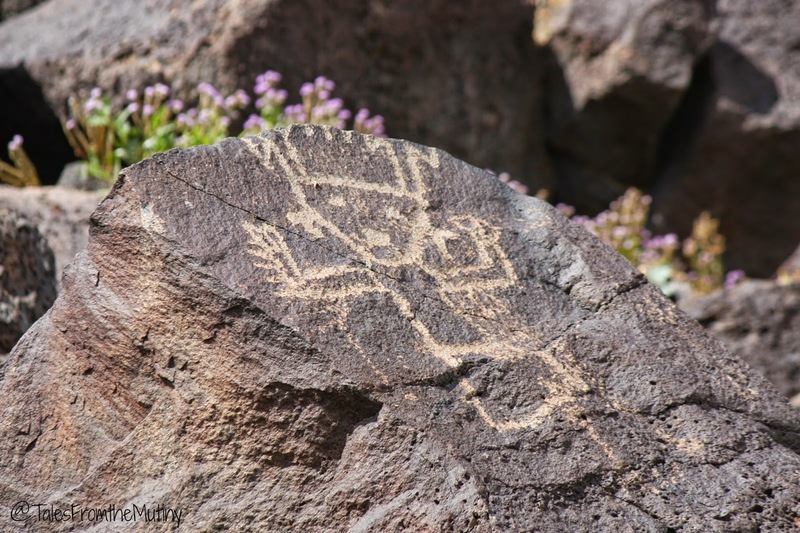 We know there’s tons more to do in ABQ but we just couldn’t do it all…at least not the first time around. We’d love to come back at some point for the balloon festival and fortunately we love New Mexico enough that this just might happen one day. 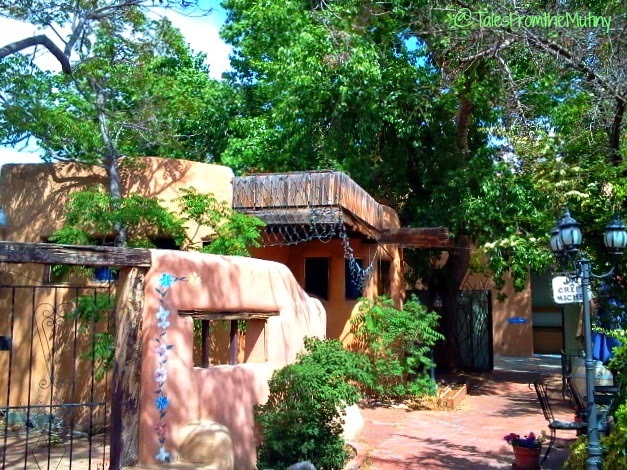 Read Marshall’s blog post about Albuquerque here. Read Amanda’s (aka Watsons Wander) blog post here. 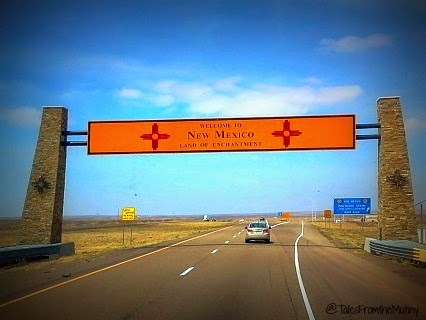 We've never been to NM and Albuquerque seems like quite the town. 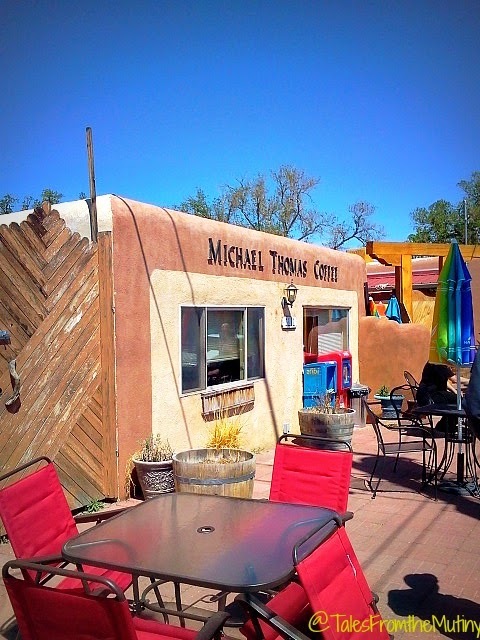 I (Joe) am a huge coffee drinker so we'll add Michael Thomas Coffee to the list of places to try once we hit the road.